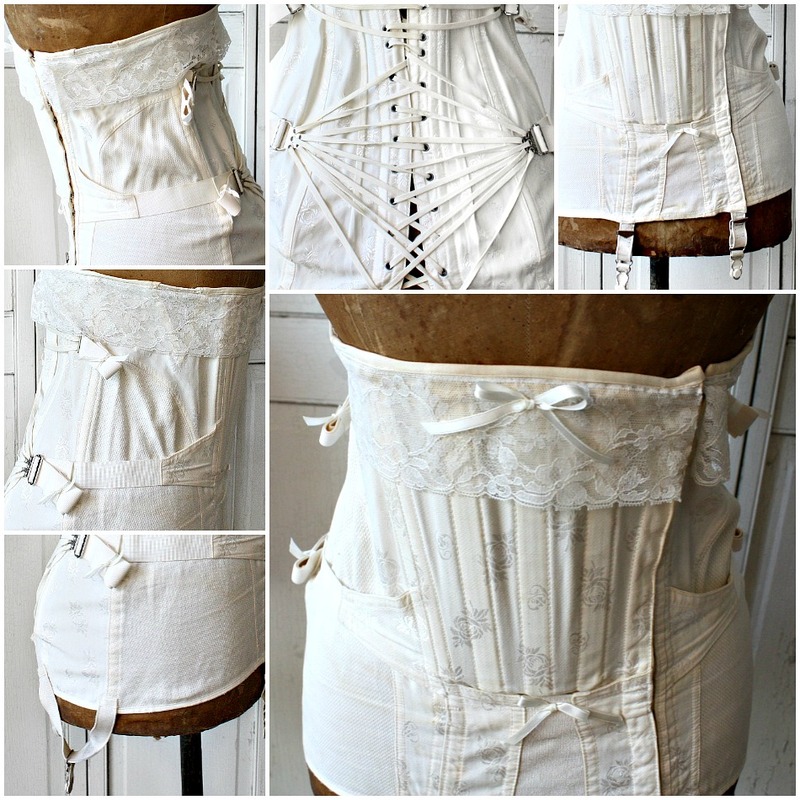 White Rose Brocade Corset, made by Camp, who invented a corset that every lady could tighten themselves by means of several back-mounted lacing "fans" that could be tightened from the front by means of straps and buckles. 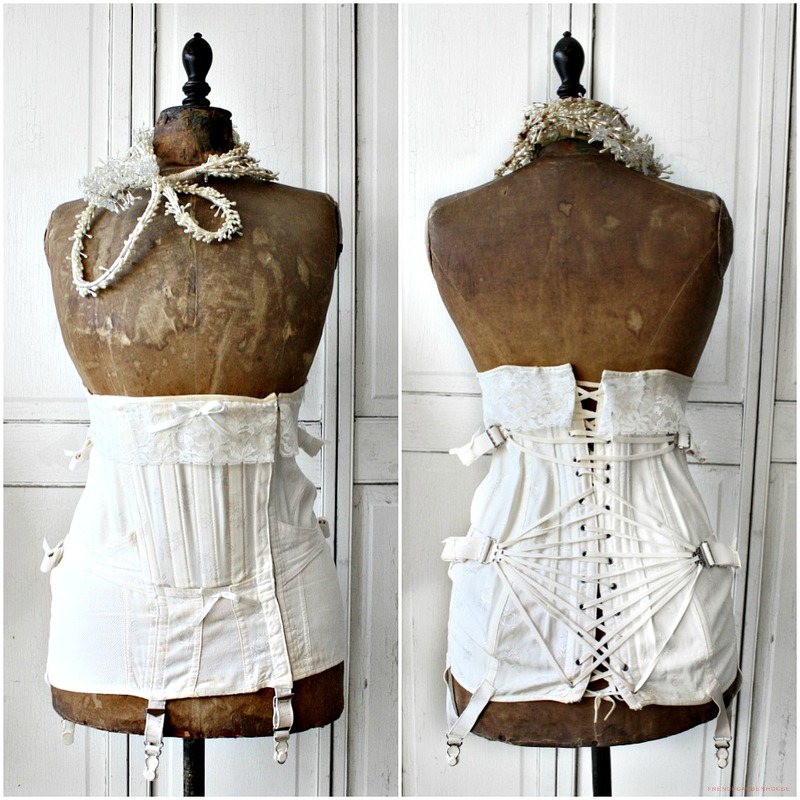 After WWI, many ladies no longer had their own personal maid, this corset Fan Lacing Corset, copyrighted in 1920, was revolutionary and extremely beloved. 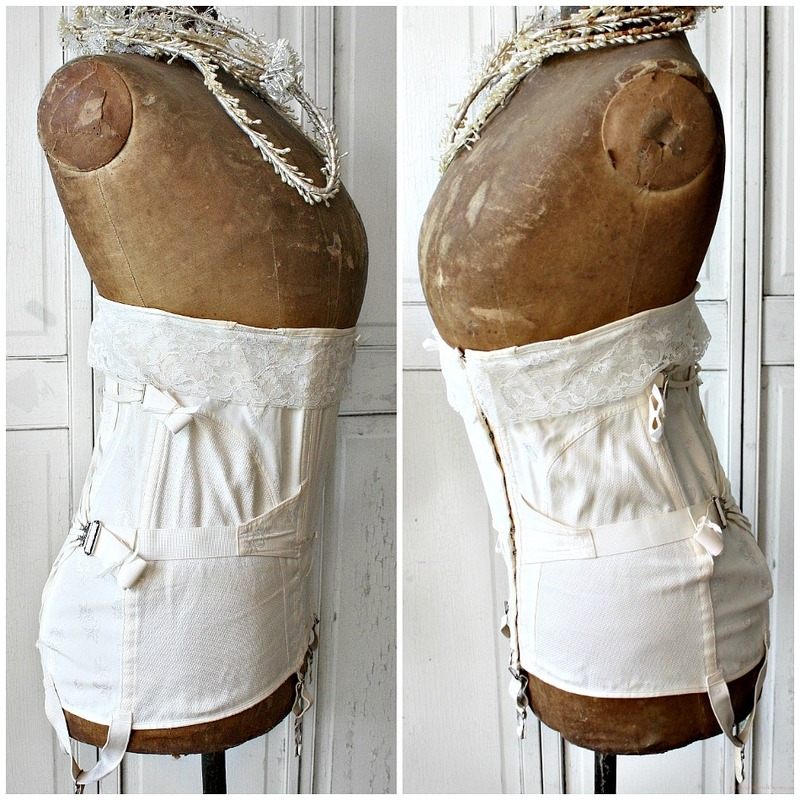 Corset collectors will treasure this Camp corset, made of a quality weight brocade cotton with a woven in pattern of decorative roses. Broad band of French lace at the top, original stocking clips are present. 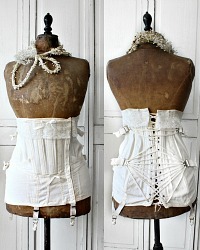 Wonderful to display on an antique mannequin, with your millinery and boudoir collection. In good condition, there are some areas of aging as would be expected, and the elastic has some stretch. If you can love her for the collectible piece of women's history she is, she will be a welcome addition to your collection. Measures 15~1/2" h x 30".